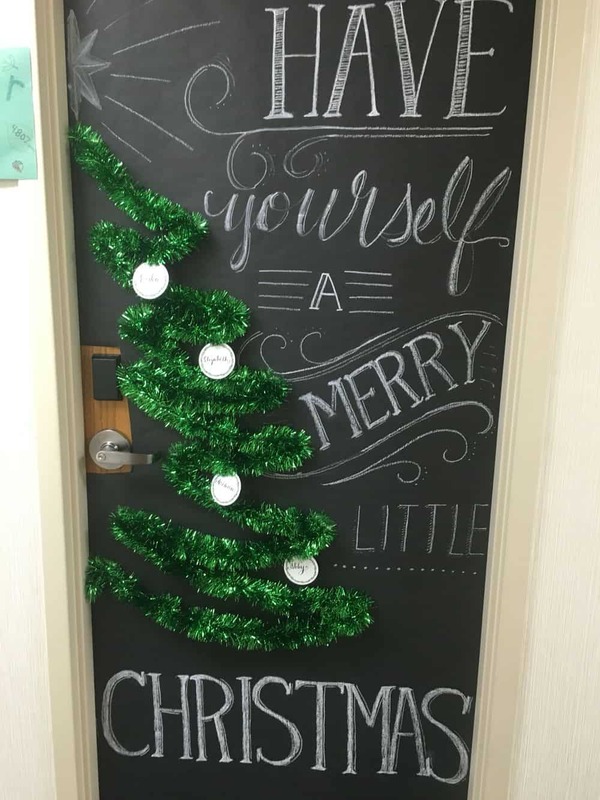 Bringing the Christmas spirit into a dorm room can often times be hard. 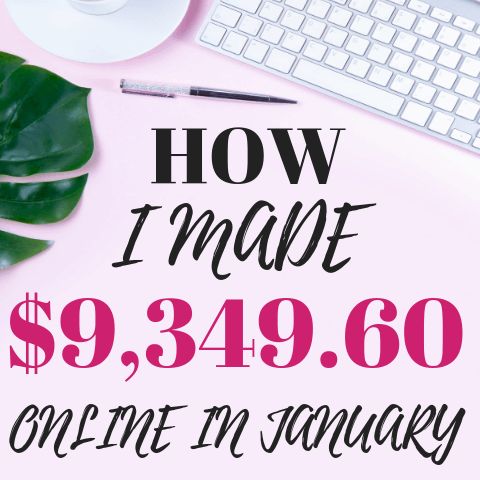 You don't want to go too overtop because you really aren't going to be there for Christmas. 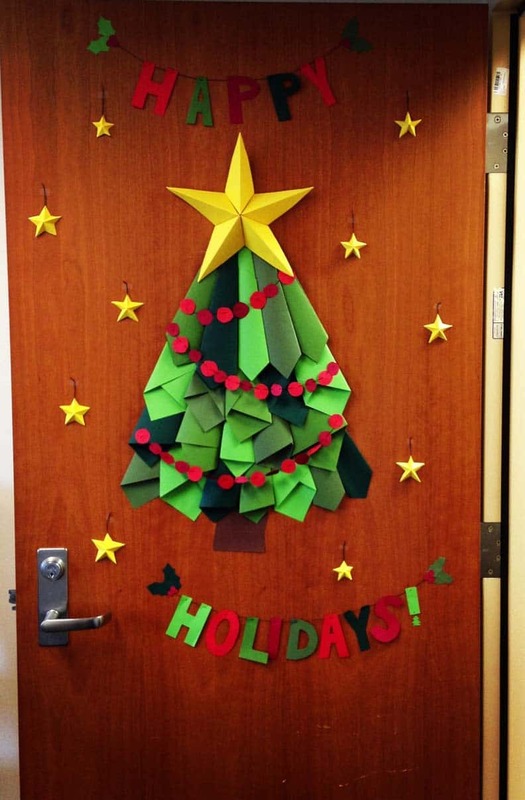 BUT, you definitely want to add a little holiday spirit and Christmas dorm door decorations is the perfect way. One of my favorite memories living in the dorms was seeing how creative my hall-mates would get with their Christmas decorations. The decorating would start early (we're talking a few weeks before Thanksgiving) and the whole feeling of the dorm changed to feel like the holidays. 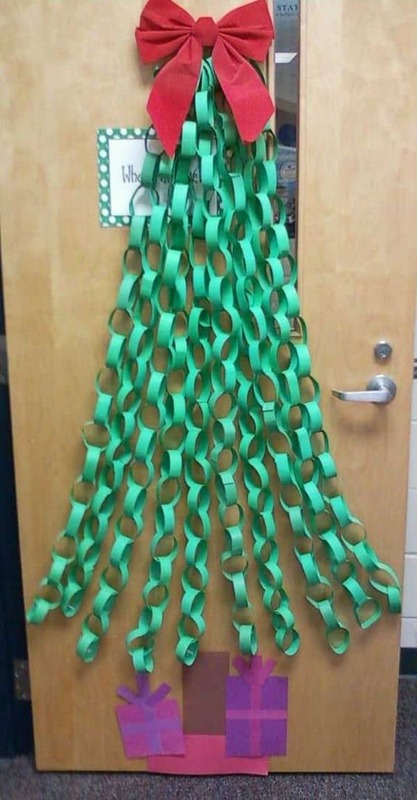 People would get really creative with their Christmas door decorations. It was a BIG deal! 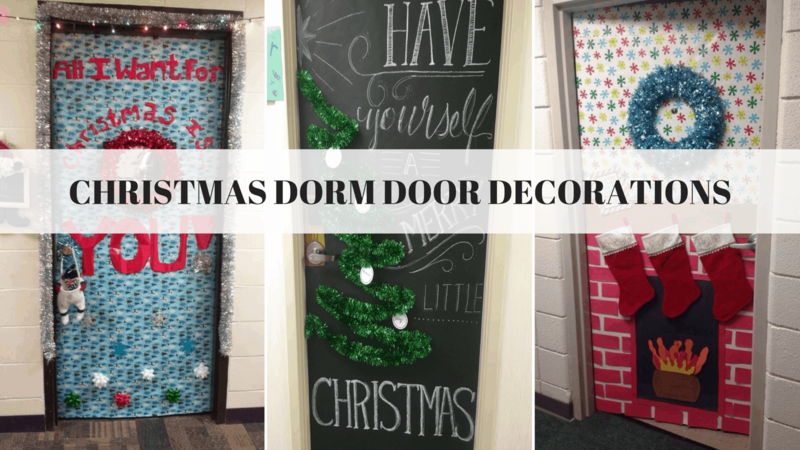 This post shows you 10 of the best Christmas dorm door decorations that you can copy in your own dorm this year. Bring the cozy fireplace feeling into your dorm room. This fireplace really wouldn't be too hard to do, even though it looks complicated. All you really need is some wrapping and construction paper and your good to go. 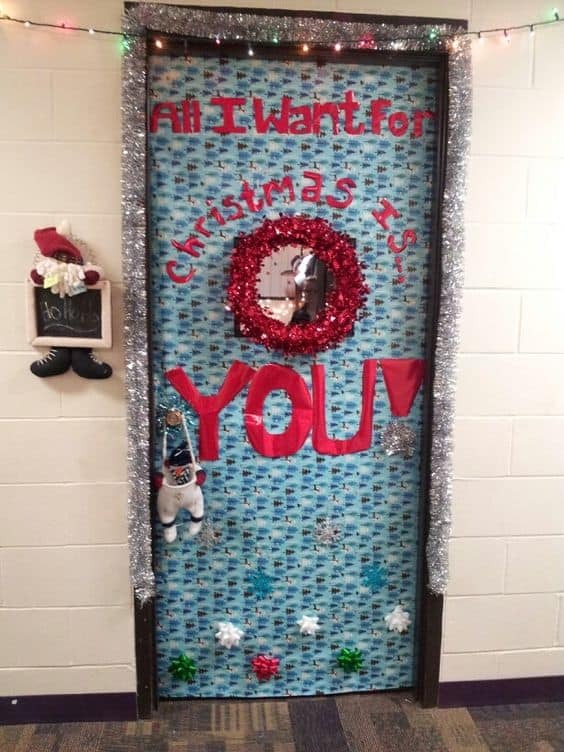 This Christmas dorm door would be really fun to put together and you even can customize a stocking for you and your roommates. Okay, I feel like an idiot but this door took me SO long to figure it out. 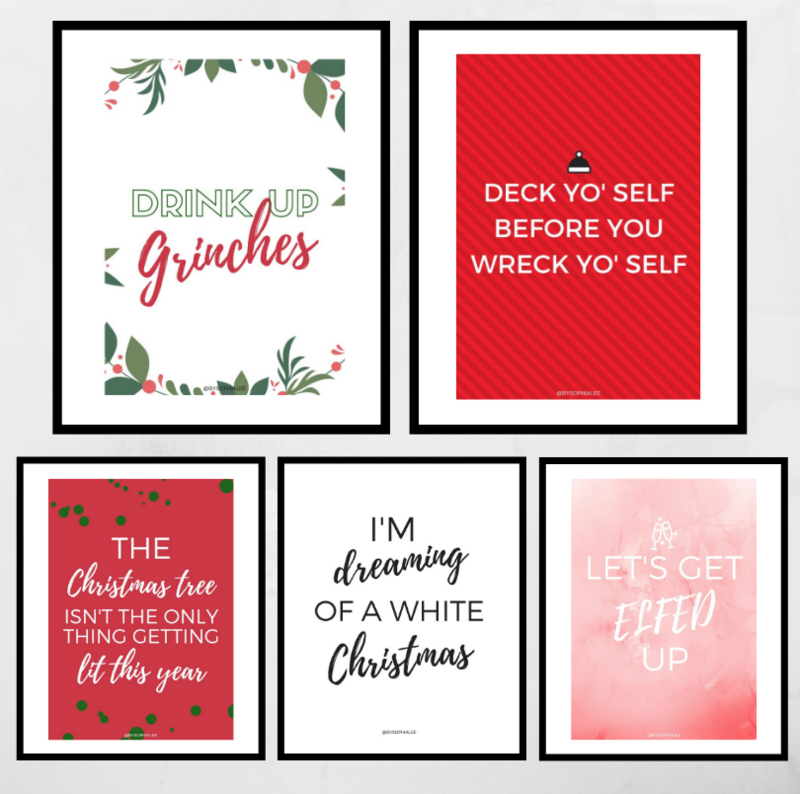 I actually even added it to this post "15 Trendy Christmas Dorm Decorations" and just figured it out while putting it into this post. You would think as a Junior in college I would realize that the saying on this door doesn't mean to know on it... and the ho, ho, ho wrapping paper! DUH! 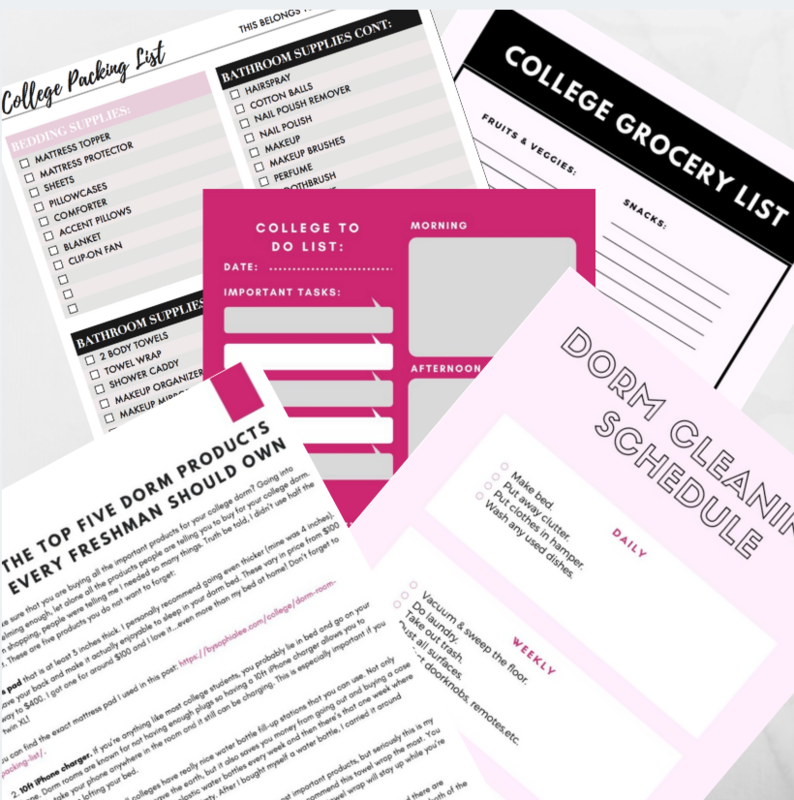 It is really funny and perfectly fitting for college students. Their message sure isn't wrong ;). This is such a good idea and really creative!! 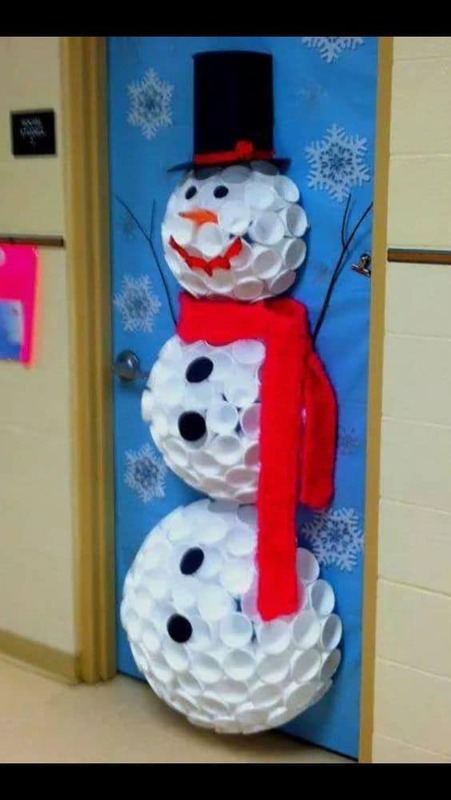 I would have never been able to think of this snowman christmas door decorations but now that I see it... I'm hooked. 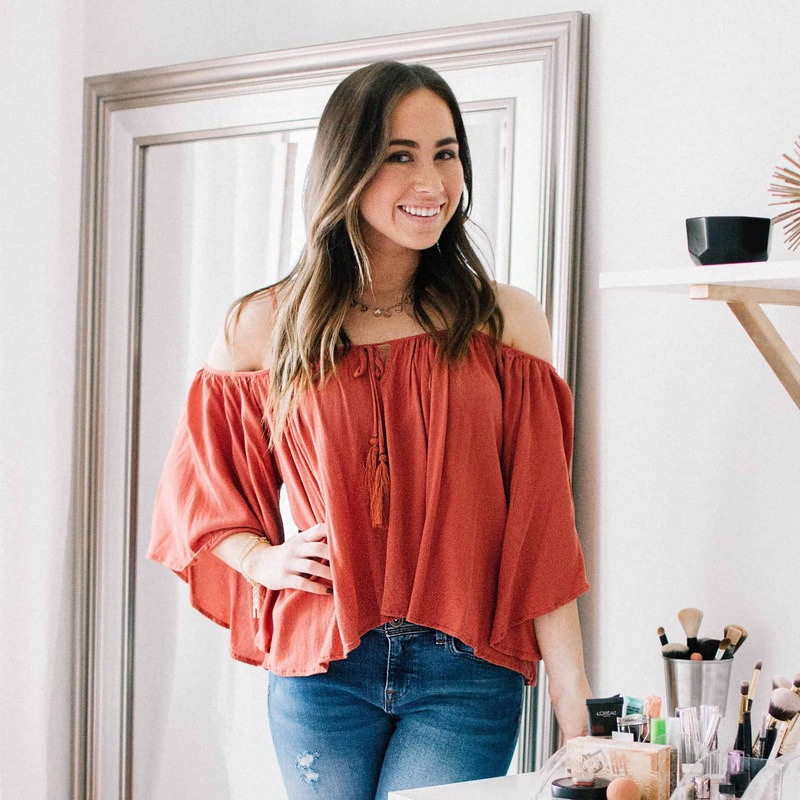 For some reason this is totally giving me Fixer Upper vibes. This door is really easy to recreate and only needs a few supplies. 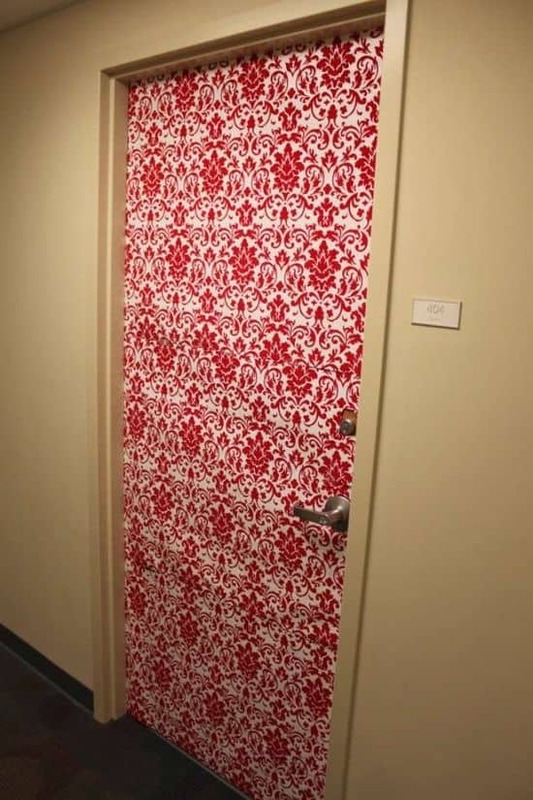 If you want a simpler Christmas dorm door, think about doing this origami door. The folding they did for this door is actually really easy and their are a million "how to" videos on Youtube that you can search for. I love this one because its all things that can be taken down before you go home for Christmas break and use them for actual gifts. Win-win! 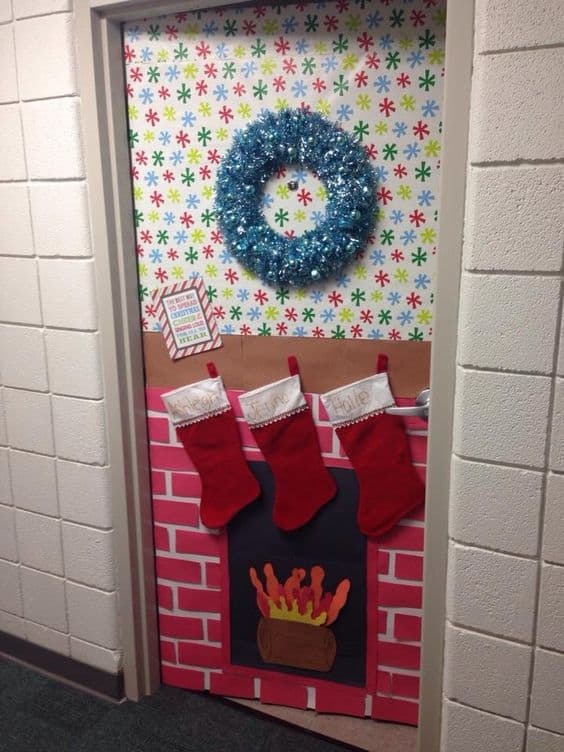 A lot of these dorm door christmas decorating ideas are WAY over the top. This one is so reasonable though! Remember making those paper streamers as kids? This is a fun way to bring it back as a Christmas tree. This one is SO simple. Pick up some super cute wrapping paper and you are done. 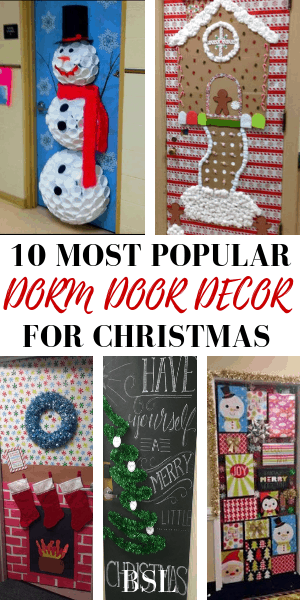 This post showed 10 dorm door Christmas decorating ideas.